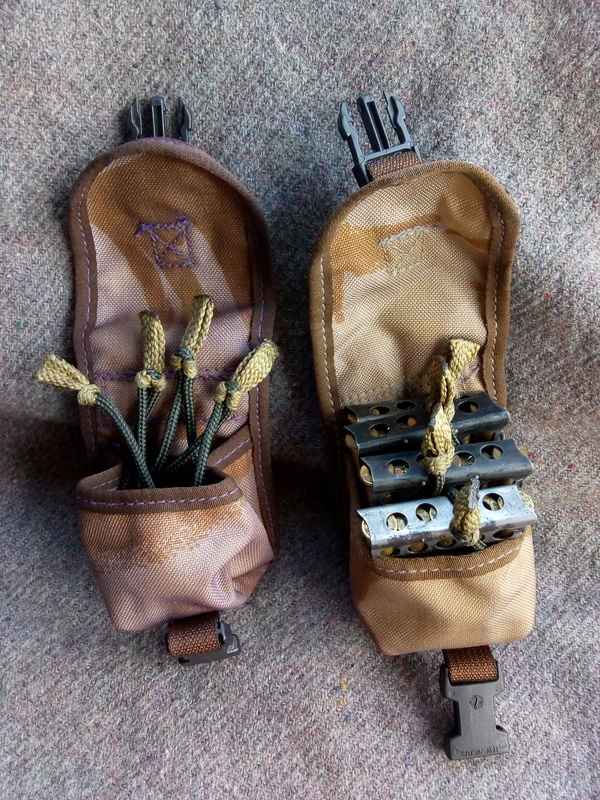 Thread: AP grenade pouch re-purpose. 20 rds .303 per pouch. Loops of para cord, no elastic as the cord is springy enough. Gentian violet "blue rinse" to make it look less milspec and more Cadbury's. Re-did it with a stronger solution after this pic and now more purple than khaki.